1. Travel more. Travelers report that the very act of visiting somewhere new makes them happier, healthier, more creative, more relaxed and more successful at work. But many people leave some of their hard-earned vacation time on the table. To escape the office, pick a slow time of year and book in advance to commit. If time and money are issues, even weekend getaways will scratch the wanderlust itch. 2. Volunteer. Voluntourism is rising in popularity as people welcome the chance to do good, learn and travel at the same time. In a year plagued by natural disasters, opportunities exist to help popular travel destinations. Grace Bay Club in the Turks and Caicos Islands can arrange for guests to help with local recovery efforts in the aftermath of hurricanes Irma and Maria. 3. Learn a new skill. Master Italian cooking in Tuscany (the 2018 Virtuoso Luxe Report cites food and wine travel as a top trend). Whether dusting off high-school French in Paris or honing photography talents while capturing memories of the trip, travel comes with a built-in education and the ability to learn at every turn. 4. Be kind to the environment. Discover how to make a difference as a sustainable traveler and put your knowledge into practice. El Silencio Lodge & Spa, an eco-luxury hotel in Costa Rica, offers 500 private acres of carbon-offsetting cloud forest, hidden waterfalls, and organic cuisine. Each suite sits on above-ground pillars to respect the forest’s natural topography and features bamboo ceiling tiles, energy-efficient lighting, and an energy-saving electric heater. 5. Conquer a fear. The beauty of travel is that it can push travelers beyond their comfort zones. 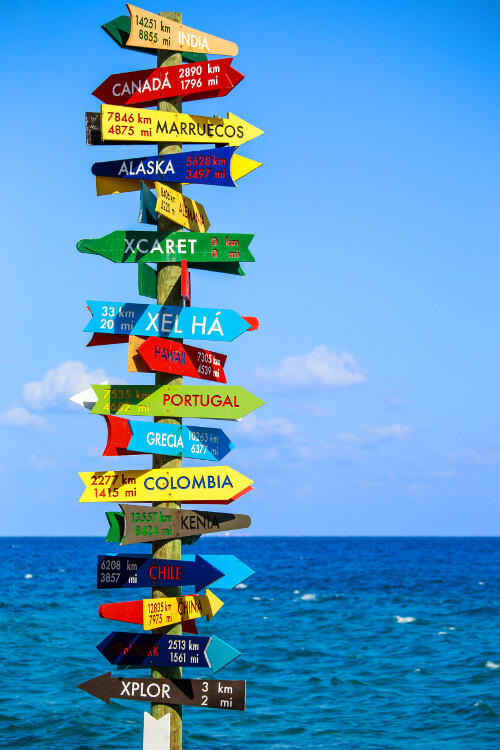 From the more adventurous, such as swimming with sharks in Mexico or skydiving in New Zealand, to something less extreme like traveling solo or voyaging to an off-the-beaten-path destination, the options are endless for broadening horizons. 6. Deepen a friendship. Travel brings people together and strengthens relationships through shared experiences. Consider those beyond immediate family – a college roommate or favorite cousin makes the perfect travel companion. Spending quality time together deepens existing bonds and creates a lifetime of memories. 7. Get in travel shape. Combine travel with the ever-popular improved fitness resolution. If your style is yoga, meditation and massages in a Zen-like setting, visit a wellness resort for relaxation and rejuvenation. If you prefer a high level of activity, plan an adventure to help you shape up or burn calories. That could be anything from skiing in Switzerland to kayaking in Canada. 8. Become a global citizen. The United Nations World Tourism Organization reports that more than one billion tourists cross international borders each year. Travel fosters greater appreciation of other countries and cultures, and makes one realize they are part of a larger global community.